** This book would not have been made possible if not for the generous consideration and donation of Global Greengrants Fund (GGF). Our sincere thanks to GGF for allowing us to create a tool of awareness for our young children and communities. We hope it will transform from words beyond these pages into positive initiatives by our people. Sokehs, Pohnpei—The Kaselehlie Press only just recently received a copy of a criminal information filed on May 30, 2017 against three former employees of the Sokehs Municipal Government. The State has charged Merlina Linos, Albertina Smith, and Leilani Ramsin 22 separate crimes related to the alleged theft of over $7000—money belonging to Sokehs Municipal government. The Pohnpei Office of the Public Auditor (OPA) had previously conducted surprise cash counts at Sokehs Municipal government that had uncovered missing funds but the inspection last January was the first that lead to criminal charges. OPA said that while the inspection was being carried out, one of the defendants left island and while the matter was being investigated by the Compliance Investigation Division, another of the defendants left Pohnpei. Before criminal charges were filed there was no legal reason for the pair to have been barred from traveling. Though by the time charges were able to be filed the two named defendants had left the island, those charges will be waiting for them if they choose to return to Pohnpei. The discovery of the missing money once again sent shock waves through the Sokehs Municipal Government. Chief Magistrate Michael Liemen narrowly avoided impeachment over the matter when the vote of the Sokehs Council came short of the number required to pass a resolution of impeachment. As in any and all criminal cases, defendants are presumed to be innocent unless proven otherwise in a court of law. The trial has not yet begun for the one defendant who is still on the island. Pohnpei, FSM—This week Lt. 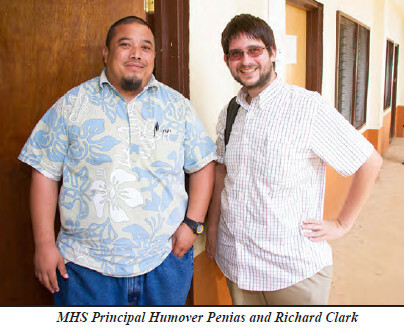 Governor Reed Oliver and Richard Clark of the Pohnpei Department of Education (PDOE) made surprise visits to several of Pohnpei’s public schools. “The visits were surprise visits. This entire week, the Lt. Governor and myself (and at times other staff, including Rickson Higgins and Arwelson Arpona) have been going to Level One schools to informally observe what's going on. Part of the rationale for the visits is so that our elected officials can see the on-the-ground reality as reflected in our Accreditation reports, e.g. every public school has a textbook shortage of some kind (what changes is the degree of the shortage), but what does that mean for Lewetik School vs PICS vs Wone,” Clark wrote. Clark is an Education Adviser and Acting Quality Assurance Coordinator at PDOE. His role is to assist PDOE in implementing the FSM Accreditation Systems Procedures, introducing additional standards of measuring performance, engaging in reforms in standardized testing and reporting, student/teacher/parent surveys, policy and planning, and data management, among other more minor duties such as document editing. 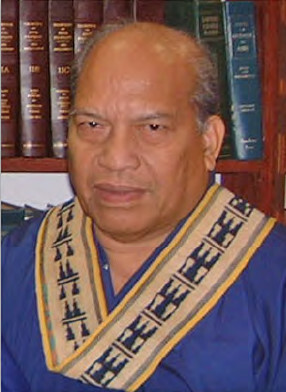 The Supreme Court of the Federated States of Micronesia pays tribute to the Honorable Ready E. Johnny, Associate Justice of the FSM Supreme Court, who passed away at his home on August 15, 2017 after a long illness and after serving the FSM Supreme Court as Acting Chief Justice and as an Associate Justice for over a decade. Associate Justice (AJ) Johnny was truly a son of Chuuk and the FSM. 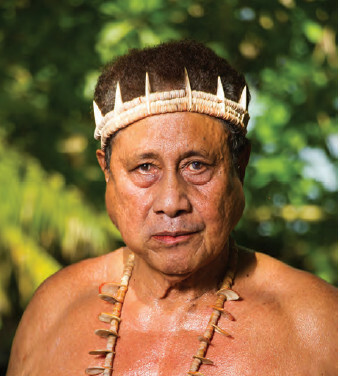 He was born on November 24, 1946 in the State of Chuuk. From Oneop Municipality, AJ Johnny resided in Neauo village, Weno for over 45 years. He attended elementary school on Namoluk island in the Mortlocks region, and later transferred to the Mission School in Tol, Faichuuk. After attending the Mission School, AJ Johnny attended and graduated from Chuuk High School. He received his Bachelor of Laws Degree from the University of Papua New Guinea in 1987. Associate Justice Johnny had a long and impressive professional career, almost entirely in public service. He was a Staff Attorney for the FSM Public Defender’s (PD) Office, directing the PD Office in Chuuk. Prior to this position, he served as the Chief of the Division of Litigation and the Attorney General for the Chuuk State Attorney General’s Office. His work included being a prosecutor for the State of Chuuk for over 20 years. AJ Johnny also served as an Assistant Attorney General for the FSM National Government. He was a member of both the FSM Supreme Court Bar and the Chuuk State Bar. On September 5, 2006 he was nominated by President Joseph J. Urusemal to be an Associate Justice of the FSM Supreme Court. On January 19, 2007, he was confirmed by the 14th FSM Congress to be Associate Justice. The investiture of the Honorable Ready E. Johnny, as an Associate Justice, was held on March 30, 2007. With the passing of former Chief Justice Martin G. Yinug, Associate Justice Johnny served as the Acting Chief Justice for parts of 2014 and 2015. For those who knew Associate Justice Johnny, many were impressed by his objectivity, fairness, calm demeanor, and level headed approach to the cases he presided over. He provided a very steadying influence on the court, especially on appeal panels. Many observed that his balanced approach was a result of his years of experience as both a prosecutor, a public defender, and as an attorney for the Chuuk State Government and the FSM National Government. His broad experience allowed him to view things from different perspectives and gave him an objectivity that not all judges possess. Ready E. Johnny honorably served his country in the capacity of Associate Justice of the FSM Supreme Court until his untimely passing on August 15, 2017. For a long time, he continued to assist the FSM Supreme Court with its work, even though he was suffering from a long and difficult illness. He showed true dedication and commitment to the work of the Court in doing so. A State Funeral was held on August 23, 2017 at the FSM Supreme Court in Weno, Chuuk, which was attended by his family, colleagues and FSM Supreme Court staff, other dignitaries from the FSM National Government and the State of Chuuk. The late Associate Justice Johnny was then taken to Silo Protestant Church in Neauo Village for a church service, before being taken to his residence. Associate Justice Ready E. Johnny was laid to rest at his home on August 24, 2017. Associate Justice Johnny was married to the late Sinter Year Johnny and they had 6 daughters, 1 son, 21 grandchildren, and 10 great grandchildren. The late Associate Justice Ready E. Johnny will be sorely missed by his family, friends, colleagues and staff of the FSM Supreme Court. Palikir Pohnpei – September 1st through the 2nd marked a historic visit by H.E. Wang Jiarui, Vice Chairman of the Chinese People’s Political Consultative Conference, and his delegation of 14 members. 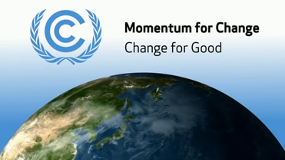 The CPPCC or better known in China as the PCC is a political advisory body in the People's Republic of China and holds much influence in China’s political decision making process. The significance of this visit to the FSM is in reciprocation of recent diplomatic visits to strengthen relations with China by FSM dignitaries including H.E. Peter M. Christian, President of the FSM, and T.H. Wesley Simina, Speaker of the FSM Congress. Moreover, it is an official visit to the capital of the highest level by a dignitary from China to date and in itself necessitates the focal attention of Congress. Vice Chairman Wang and his delegation were greeted at the airport tarmac by T.H. Esmond B. Moses, Vice Speaker of Congress; H.E. Jie Li, Chinese Ambassador; and Samuel Pretrick, Deputy Secretary of Foreign Affairs. Shortly thereafter, the Vice Chairman and his delegation were welcomed to Congress at the capital by Speaker Simina where bilateral discussions were to take place in the Congress Hearing Room. Speaker Simina continued with his welcoming remarks and thanked the Vice Chairman and his delegation for their visit and hoped they would enjoy their short stay and wished for future visits to be longer so that the Vice Chairman can appreciate the other states of Kosrae, Chuuk and Yap, and their respective cultures and traditions. Speaker reiterated his request to Vice Chairman Wang for China to continue to work and engage with the FSM actively to further elevate our relations both at the bilateral and regional level. On behalf of the national government, Speaker expressed his appreciation of China’s support and cooperation in our nation’s building efforts through the provisions of grant aid assistance, scholarships, and technical assistance which have been extended to us and looks forward to working closely with the Vice Chairman on the areas of mutual interest such as fisheries, transportation, climate change, agriculture, energy and tourism. On a similar note and other, Speaker’s next remarks revolved around the discussion of additional economic assistance to supplement the FSM Trust Fund and the country’s concerns on the glooming nuclear missile threat to the islands by North Korea. The Chairman addressed the issues brought up by Speaker and assured the Speaker of China’s continued full support of the FSM. In response, Speaker reiterated FSM’s strong unequivocal support and adherence to the “One China Policy,” which is the pillar to our diplomatic and bilateral relationship and as such, the FSM remains committed. The meeting concluded with the exchange of pleasantries, gifts, and photo ops followed by refreshments. Chairman Panuelo stated his hope that China will consider prioritizing additional assistance to the FSM Trust Fund as it is another area of urgency to the FSM in the near future. Chairman Panuelo concluded his remarks by adding that the FSM Congress continues to recognize and is fully committed to the one-China policy. The 5th Annual Matson tourney was held on Saturday, August 26. We had 15 boats registered and it was a good day out for fishing. Sometimes a nice day is not the best for fishing, but some anglers still knew how to bring in the fish. It was a beautiful day though and all the boats had an enjoyable time. Matson and Amcres put up $2,000.00 in prizes. There was a lot of competitive action for these prizes. We want to thank Matson and Amcres for all their help in putting on a great tournament. The barbecue supported the Pohnpei Public Library, which provides much needed services to our children. Many thanks to those who helped out, including Dr.Hedson running the weigh in, Tina, Melinda, Uta and all of Kumer ’s guys. A big crowd attended the weigh in. All the winners enjoyed their prizes. 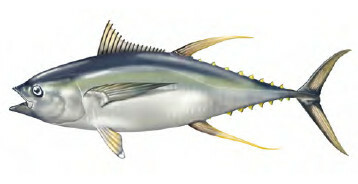 The biggest fish was a 65 pound yellow fin caught by Isaiah Hawley, a really nice fish. Thanks again to our sponsors, and we will see you at the next tournament. The Rotary Club of Pohnpei, Inc. and Vital Petroleum wish to announce the winners of the First Annual Vital Scholarship program. Vital is graciously funding a new scholarship for the 2017-2018 school year and has awarded four scholarships of $5,000.00 each this first year. Vital is looking to increase its local staff and hire FSM student graduates who successfully complete their degrees in fields that are required in their business. The primary focus is on engineering and certain sciences, accounting and certain business majors, and agriculture. The Rotary Club of Pohnpei handled the application process. 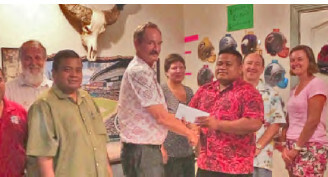 Vital also donated another $5,000.00 to the Rotary Club for the Rotary Club of Pohnpei annual scholarships. That donation was also much appreciated. With Vital having the final approval we are proud to announce four win ners. Congratulations to the winners of the first annual scholarship. There were many applications and qualified applicants. It was very difficult to choose the top candidates. These winners also will be provided opportunities through Vital, giving them a step up on all the other students looking for job opportunities after graduation. For all those who applied, we want to encourage you to re-apply next year. Please note though the focus of the scholarship is for areas of study that will provide employment opportunities at Vital. For more information, the next application process will start in March, 2018. Contact any Rotary Club member or Vital management for details. During the “Green Day” celebration which was held on September 2. 2017 at the Botanical Garden, Island Food Community of Pohnpei (IFCP) demonstrated to a group of women how to make flour from banana, taro and Breadfruit. Konrad Englberger, IFCP Researcher who conducted the demonstration informed the participants that local made banana, taro and breadfruit flour is very high in Dietary Fiber, Calcium, Magnesium, Protein, Iron, Potassium and Vitamins, compared to imported white flour. 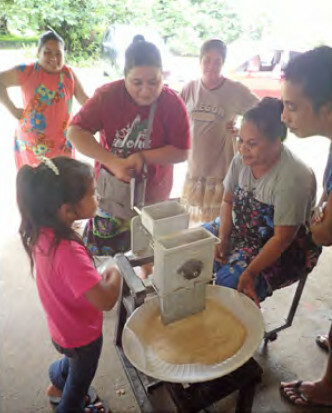 IFCP has given flour mills and provided training to all the Municipalities in Pohnpei and Pohnpei Outer Islands to promote locally made nutritious food. IFCP hopes that people make use of these milling machines. One of the IFCP Goals is, that people use more locally made food and to reduce the high number of NCDs, Non-Communal Diseases. The research work conducted at IFCP concluded that a high quality, nutrient rich flour can be produced from local products like bananas, breadfruit and swamp taro with skin and without skin for a competitive price. Food tasting with banana, taro and breadfruit flour using different recipes was of high quality and was well accepted. The Micronesian Registration Advisors, Inc. (MRA) held a small ceremony at their Kolonia office to commemorate the Center for Entrepreneurship’s (Center) four years of ongoing success. The Center operates within the College of Micronesia-FSM’s (COM-FSM) National Campus. Its mission is to collaborate with motivated students who want to find innovative solutions to needs within their community. The Center was established in 2014 after MRA provided a $250,000 gift to COM-FSM over a five-year period. The ceremony coincided with MRA’s delivery of its fourth funding installment. Although the Center has won several grants for its activities, MRA remains the program’s primary benefactor. 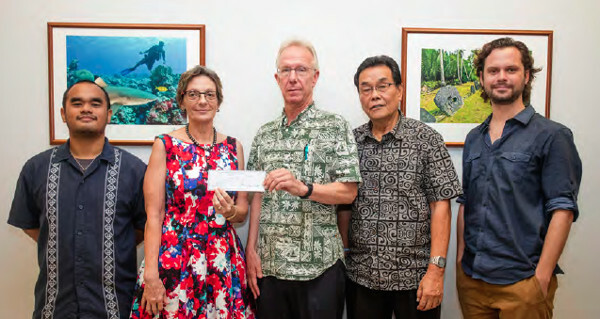 MRA also connected the Center with University of Hawaii’s Pacific Asian Center for Entrepreneurship by bringing its former Executive Director, Susan Yamada, to Pohnpei in February of 2016 and provided an additional $30,000 to allow the Center to hire an assistant. All of this giving has added up in a big way. The Center has proudly worked alongside dozens of entrepreneurial students who have taken advantage of the Center’s workshops, competitions, events, and even a small business incubator. In most cases, it is the students who drive the Center’s projects by identifying community needs and finding unique solutions. Textbooks are too expensive? Students started a peer group textbook rental service. Imported produce is too expensive? Students have built hydroponic systems all over Pohnpei that can grow lettuce, tomato, and other crops. Need a website? Students have made websites for the FSM Post Office, Cliff Rainbow Hotel, and the National Fisheries Corporation. The Center was also a strong supporter of this year’s Friday Food Fashion Festival (aka “F4”), which showcased dozens of student-operated businesses at the Spanish Wall baseball field in Kolonia. Chuuk, FSM - His Excellency, Peter M. Christian, President of the Federated States of Micronesia (FSM), held a high-profile National Youth Conference from 8‒10 August in the state of Chuuk to mark International Youth Day 2017. In his keynote address, the President reflected on the need to focus on peacebuilding following periods of difficulty, “It is okay to fall, but it is more important to pick yourself up afterwards.” He encouraged youth delegates to persevere for their aspirations. The theme of International Youth Day, “Youth building peace” is a significant one for the Pacific region as it speaks to the role of young people in seeking opportunities to shape their futures and live happily in peace. The theme is also engrained in the Pacific Youth Development Framework (2014‒2023), which was developed by SPC working with partners and youth. The Framework is a guide for addressing youth issues in the region through the development of programmes and policies in both the youth sector and across other development sectors. One of its strategic approaches is an inclusive rights-based approach that specifies the importance of involving young people in decision-making. When young people are included in policymaking process, leaders can make more informed and more successful policy decisions. 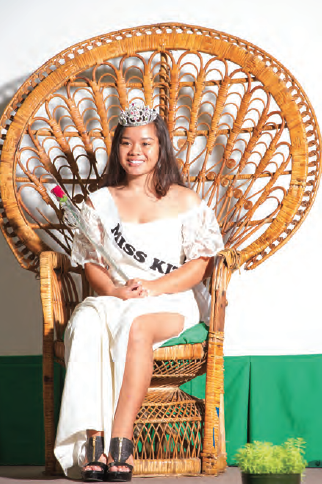 --Miss Kitti, Chasity Ann Salvador has been named as Pohnpei Miss Liberation Day after a crowning ceremony held at the PICS gymnasium this evening. Miss Sokehs, Zelain Perman was the first runner up. Miss Sapwuafik, Freida Abraham was the second runner up, and Miss Kolonia, Yasmine S. Ehpel was the third runner up. During the crowning ceremony contestants participated in an “Urohs” (local skirt) competition during which they had to explain the significance to their culture of their elaborately embroidered skirts. They also were each asked a single question and the judges evaluated their responses as part of their decisions. Outside of the crowning ceremony the contestants participated in a float contest and also were required to raise funds. The four contestants together raised over $20,000 in just a few weeks. The amounts they raised were also figured into the final results of the contest. 50 percent of that money will be used to offset some of the considerable expense of the Liberation Day festivities and the sporting events leading up to it. The remaining amount will go back to the individual contestants for scholarship purposes. Lululeen Santos said that the organizers envision a much large competition next year with more of the municipalities participating. The dream for upcoming competitions is to establish a scholarship fund from the fund raising activities of the contestants. She said that all of the activities the contestants participated in did figure into the final results of the pageant, it worked out through coincidence that the order of the winners followed along with the amount of money each of the contestants raised. She said the contest was not designed that way but that was the way it ended up. Miss Kitti raised over $7500. Miss Sokehs raised over $7000. Miss Sapwuafik raised over $4000, and Miss Kolonia was able to raise over $2000. Santos said that the idea for the competition came late for the organizing committee. Though representatives of each of Pohnpei’s municipalities said they would provide contestants from their municipalities only six did. Because of the limited time to prepare contestants, two of the municipalities decided it would be best to refrain from the contest. Santos said that it was up to each of the municipalities to determine how their contestants would be selected. 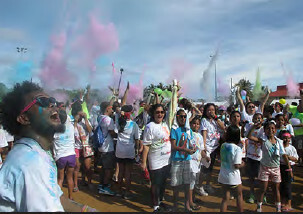 Kolonia, Pohnpei - The early morning of August 12 started off with music, rain showers, sunrise and a beautiful rainbow to kick off the 2nd 5K Color Run in commemoration of International Youth Day at the Spanish Wall in Kolonia. The U.S. Embassy joined the rest of the world in celebrating this day of focus upon the importance of youth in our society. FSM—The Government of the Federated States of Micronesia hosted the continuation of the 17th Micronesian Presidents’ Summit (MPS) in Pohnpei from August 1-2, 2017. The participants included the Presidents of the Federated States of Micronesia, and the Republic of Palau, and the RMI Foreign Minister, representing the President of the Republic of the Marshall Islands. President Christian of the Federated States of Micronesia, as Chair and host of the Summit, welcomed the Leaders of Palau and the Marshall Islands to Pohnpei most especially to Palikir, the seat of the Nation’s Capital. At the Summit, the Leaders continued to address and discuss pressing issues and challenges impacting the North Pacific Region, including common concerns in regards to the protection of borders and natural resources in the region. Among other issues, the Presidents discussed the need for regional harmonizing of labor and immigration laws and regulations, the need for a Micronesian Regional Vocational Center, and the need to further strengthen and support the Micronesian Transnational Crime Units (MTCUs). Another issue that was placed on the agenda for discussions among the three entities is the subject of Air Space Management, which the Leaders have tasked the relevant and appropriate staff to look further into, and advise the MPS at its next meeting. Other important regional matters were discussed, and the Leaders called for further collaboration and coordination among the three countries. A Palikir Communiqué was produced and signed as an outcome of the meeting. The Summit concluded on August 2, 2017, and the Leaders have agreed to have next Micronesian Presidents Summit (MPS) in the Marshall Islands early next year 2018. To that extent, the Leaders have also agreed to issue a letter of invitation for the other Micronesian entities, namely Nauru and the Republic of Kiribati to join the MPS as members. FSM—The Federated States of Micronesia has filed a complaint for civil damages and forfeiture against a fishing company, a vessel, and the ship’s captain for allegedly violating the FSM’s new 24 mile fishing exclusion zone expanded from 12 miles. 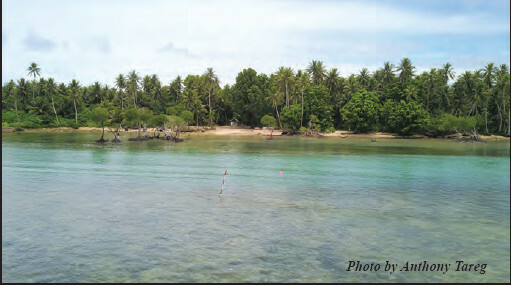 The enabling legislation to expand the exclusion zone was a drive to exclude 10 percent of FSM’s waters from fishing. The law is so new that the FSM Supreme Court couldn’t find it in its code. The FSM Department of Justice had to supply a copy of the relevant FSM code. The complaint alleges that the defendants fished on August 7, 9 and 10 within 22 nautical miles of Losap Atoll in Chuuk State. The FSM has asked for the maximum fine penalty of $50,000 for each of the alleged violations for a total of $150,000. They have also asked the court to require that the vessel and all of its contents be forfeited to the FSM. On August 21, the FSM stipulated to a bond agreement of $165,000 for deposit to the court, to release the vessel and all of the fish on board. The FSM considered the amount to be a suitable bond until hearings can take place and rulings entered. Pohnpei, Federated States of Micronesia – Access and interline agreements between regional airline operators have been raised by the President of the Federated States of Micronesia, His Excellency Peter Christian as barriers to what could be a thriving tourism industry. H.E President Christian raised the issues during a discussion with the South Pacific Tourism Organisation (SPTO) Chief Executive Officer, Chris Cocker on Friday (August 18) in Pohnpei. Mr Cocker accompanied Pacific Islands Forum Secretary General Dame Meg Taylor on a North Pacific mission this week, as part of the final leg of preparations for the 48th Pacific Islands Forum Leaders Meeting in Samoa, from September 4 (2017). SPTO is one of the CROP (Council of Regional Organizations in the Pacific) agencies with 17 Pacific members. Mr Cocker updated H.E President Christian on global and regional tourism trends and developments, including ongoing facilitation by SPTO to improve air access into the Pacific and continuing plans to sustainably develop the Chinese market for the Pacific. “People to people connectivity are one of the key focuses of the Belt & Road initiatives with one of our major partners, China. 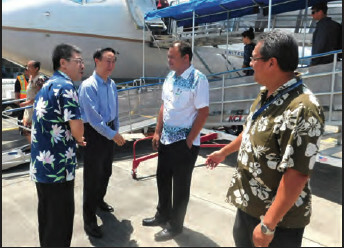 There is a marketing campaign planned to increase awareness of the Pacific in the Chinese market in 2019,” Mr Cocker informed H.E President Christian. H.E President Christian further raised that the Micronesian region needed transportation options which would be conducive and supportive of a sustainable tourism industry and sought technical expertise for a better understanding of the commercial operations of the aviation industry. Mr Cocker also met with a representative of the National Chamber of Commerce, offering training and technical support which the SPTO provided for its membership but which could also be beneficial for private sector development as a whole. Mr Cocker said FSM had a lot of potential for niche markets, an approach which could maintain a balance between development and environment conservation. FSM is slowly becoming a destination for divers, particularly night divers. The total visitor arrival for the Federated States of Micronesia (FSM) in 2016 was around 24,000. Of the 1.2 billion tourists the UNWTO have estimated globally this year, the Pacific captured 2 million, 40 per cent of whom, visited Fiji. Kosrae—Micronesian Legal Services Corporation (MLSC) would like to congratulate Ms. Louisa H. Nena on her 40 Years of Service. Louisa was one of the pioneers for MLSC’s Kosrae Office when it opened its doors back in 1977. 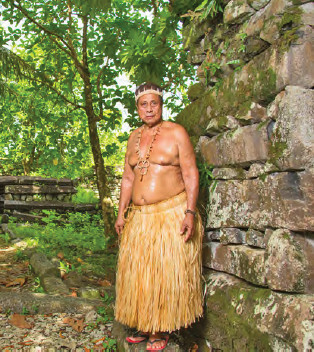 She spent the last forty (40) years there as a legal secretary, carrying out MLSC’s mission to the people of the Federated States of Micronesia (FSM). She was very instrumental in the orderly establishment and current operations of our Kosrae Office. We will certainly miss her. MLSC would like to extend our most profound appreciation and gratitude for her years of commitment and dedication; and a warm congratulations on her retirement from MLSC! WASHINGTON, D.C. – Interior Acting Assistant Secretary Nikolao Pula has signed a Statement of Work with the U.S. Census Bureau to carry out the next 5-year enumeration of migrants from the Freely Associated States in Hawaii, Guam, the Commonwealth of the Northern Mariana Islands (CNMI) and American Samoa, as required by the Compact of Free Association Amendments Act of 2003 (Public Law 108-188). The next enumeration, which is the basis for allocating funds to help offset the economic and social impact of these migrants in the affected jurisdictions, will occur in fiscal year 2018 and be completed by December 2018. The Rotary Club of Pohnpei, Inc. is once again announcing its scholarship winners for the school year 2017-2018. The Rotary Club fundraises throughout the year to raise money for this scholarship program. We also want to graciously thank Vital Petroleum for their generous support. This year we awarded $12,000.00 total in scholarships. The amounts ranged from $500.00 to $1,000.00 per student. It is hoped that these awards allow deserving students to buy books, computers or the other essentials of college life. We also support graduate students, and we are supporting this year our first PhD candidate. The Rotary Club received over 60 applications for this scholarship. It was tough to choose winners with so many qualified applicants. We want to congratulate the following students who have been selected by our committee and to announce that these are our Rotary scholars for 2017-2018. 9. Nicole Yamase UH Manoa PhD, Marine Bio. We want to encourage all of those students not selected to try again next year. It was tough making decisions. We wish all of our winners the best of luck and success in this school year. College is a big step for many students. The nation needs these young men and women to succeed and to return to the FSM with their knowledge and skills. COLONIA, YAP FSM - The Yap Development Network continues to grow and create networks on Yap. 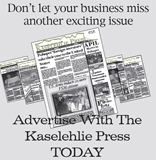 The YDN was a concept developed by the Yap Chamber of Commerce and has been running for over a year. The next meeting will take place in Colonia, Yap on the 31st August with the Bank of Guam as presenters. “The purpose of the Yap Development Network is to bring together the various organizations and departments, who are developing, funding and implementing projects across Yap. The main goal is information sharing with other interested stakeholders in order to raise awareness and reduce project duplication and resource wastage.” YCC Executive Director Marie Laamar explained. Each presentation details current and or past projects of various organizations that affect or operate in Yap. 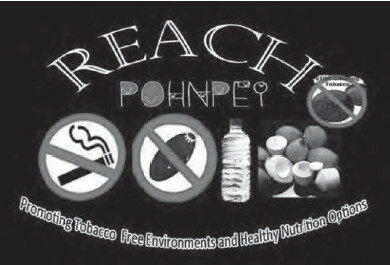 Subsequent presentations have been given by the EPA, Yap Visitors Bureau, Wa’ab Community Health Clinic, Marine Resources, YapCap and Go Local; a campaign to promote local foods and improve health outcomes for people in Yap. The inaugural meeting of the YDN occurred on 3 May 2016. Presentations at the first meeting were made by the Yap branch of International Organization for Migration, College of Micronesia, the Historical Preservation Office, the Department of Youth and Affairs and the Yap Chamber of Commerce. Pohnpei, FSM—Late this afternoon, the State of Pohnpei filed nine new criminal charges against Chief Justice of the Pohnpei Supreme Court Benjamin Rodriguez. These new charges are in addition to the 13 criminal charges filed against him by the State in March. He is also defending himself against civil charges filed by the State and an impeachment resolution passed unanimously by the legislature two weeks ago. Six of the charges claim that two separate defendants paid bail bonds to the Supreme Court but that the money disappeared. The State alleges that neither transaction was deposited into the Pohnpei Treasury as was required. According to subpoenaed bank records for a Bank of Guam account that the State separately alleges was maintained illegally by the Court, investigators could find no evidence that the funds had been deposited into that account either . One of the defendants had paid a $1000 bail bond, and the other had paid a $100 bail bond. Since the money had not been deposited at the Pohnpei Treasury, they couldn’t collect their reimbursement from the Treasury. 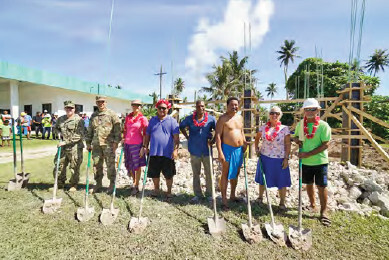 Yap, FSM—An undersea fiber optic cable to eventually connect Yap to Guam arrived on August 22. The Yap Spur Cable was landed in Yap into the beach manhole onshore at Gilman Village on the southern end of Yap proper through a prepared seaward duct. Though the project is one of FSM Department of Transportation, Communications and Infrastructure’s (TC&I) projects, a crew from FSM Telecommunications Corporation (FSMTC) was on-hand to receive the cable, which was laid and fixed on a prescribed route along and over the reef and out to sea. A spokesperson at FSM TC&I said that a fiber spur will also be arriving in Chuuk within the next few weeks. The infrastructure for connecting the cable to the FSM telecommunications system is not yet in place. NEC is the contractor that has been laying the cable. A consultant for the project wrote in an email that the first test results indicate that all is well with the cable. 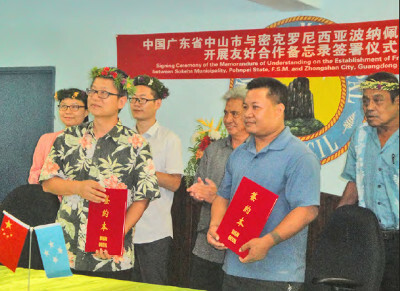 He called the landing at the beach manhole a “big milestone” toward getting fiber optic cable service to Yap’s main island but wrote that the effort is not yet over. He wrote that during the next few days, the cable ship Pacific Link will be laying the Yap Spur on the sea bottom and joining it with a branching unit on the cable system SEA-US which will carry digital traffic optically to Guam.